This is the Mavericks Stadium vantage point of RC's newest correspondent. Folks, RC has some excellent news to share. Over the past couple days, we've added two outstanding new correspondents to our rapidly growing roster of RC contributors. The first is Jon Rosen, Director of Broadcasting for the High Desert Mavericks. Jon has offered to take over duties as our left coast correspondent, covering the High Desert Mavericks and the California League. RC religiously listens to High Desert games over the Internet, and we first made note of Jon last summer, commenting about the excellent job he was doing as the voice of the Mavs. Indeed, RC is convinced he was the best minor league announcer we heard all last season. This is the first time RC has actually seen what Angel Sanchez looks like. Jon snapped some shots of the clubhouse jocularity and shenanigans that ensued after the Mavs clinched their division last season. RC welcomes Jon aboard, and we cannot adequately express our excitement over his addition to our team. We can't wait to see the fascinating content he'll add to the site this season! RC will look the other way on Kevin's unauthorized use of our logo. 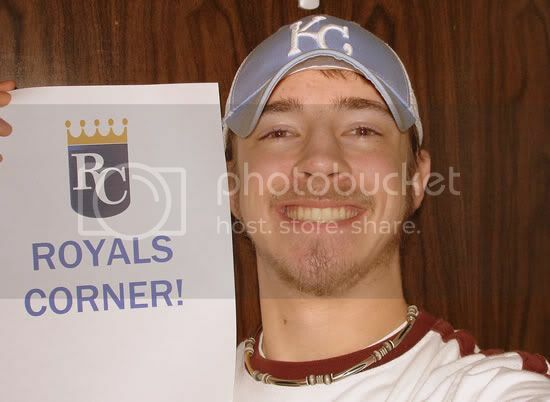 Throughout his distinguished blogging career, Kevin has provided some of the finest Royals commentary anywhere, and we actually credit him with inspiring us to start Royals Corner in the first place. He's written extensively about the Royals for Most Valuable Network, All-baseball.com, and his own excellent site, Kevin's Royals Blog (which holds a permanent spot atop RC's Blogroll of Honor). For months, RC lobbied Kevin to join our team, and we're ecstatic that he's now agreed to do so. Kevin is an outstanding writer whose unique style combines excellent statistical analysis, astute logic, optimism, and a touch of humor, and he'll be a great fit at RC. 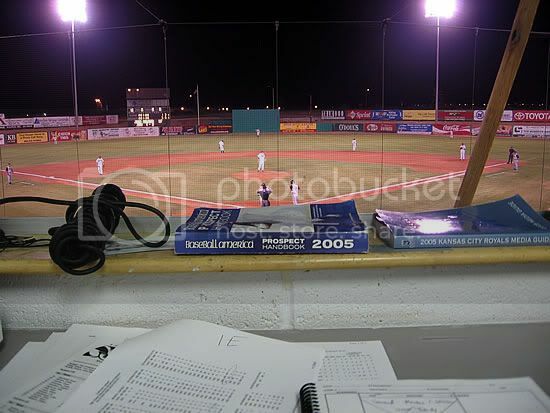 Right now, Kevin is planning to submit about a column a week, and he's also going to provide us with original Texas League and Wichita Wranglers photos throughout the season. RC welcomes our new correspondents, and we pledge to continue searching for ways to provide you with the best Royals coverage available anywhere on the Net. This promises to be an incredible year, and we can't wait for the season to begin! Fantastic! This might truly be the best baseball blog on the planet, and it is for my team, the Royals. Just when I think I am the only psycotic Royals fan on the planet I find that ther are other people obsessing over what the OPS for Alex Gordon in the AFL is. Superb. Keep it up. Goodie, more peach fuzz reporting. Good stuff, Dave. Looking forward to all that RC will bring to us this season. Sounds like all you lack is a correspondent in the Dominican (how cool would that be?) and perhaps one in Idaho Falls (if you don't already). It's tough to tell anything from one still photograph, but from that one, it would appear Sanchez is still quite a slim fellow. I assume this was taken ~after~ Angel had reportedly added some 15 pounds of muscle? Is that the only pic of him you've got? Heh...Imagine how skinny he must have been last season! 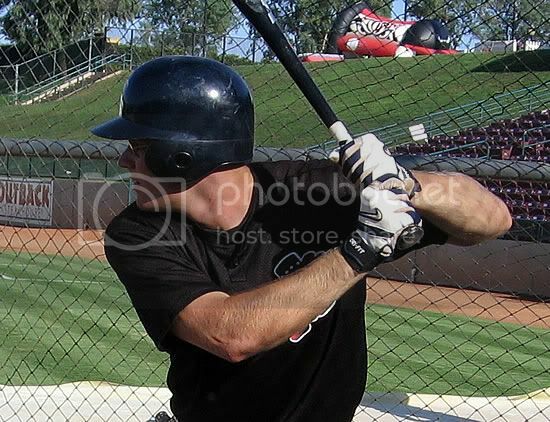 Actually, going just off that photo, I would say he's now about the average size for a SS in high A ball. He'll obviously need to thicken out a little more if he hopes to make it to KC, but I'm not terribly discouraged by what I see in that photo. And I have to think a trip to the Dominican to see some summer league action would be pretty much the coolest thing anybody could do. Of course, that's not a trip RC would be willing to embark on without being accompanied by a Spanish-speaking correspondent, and we don't have any of those as far as I know. As for Idaho, no, I don't have any leads up there. I only know one person in Idaho other than Uncle Rico, and he's a Mariners fan who lives nowhere close to Idaho Falls. But I'd love to eventually get someone to take some photos of Pioneer League action. 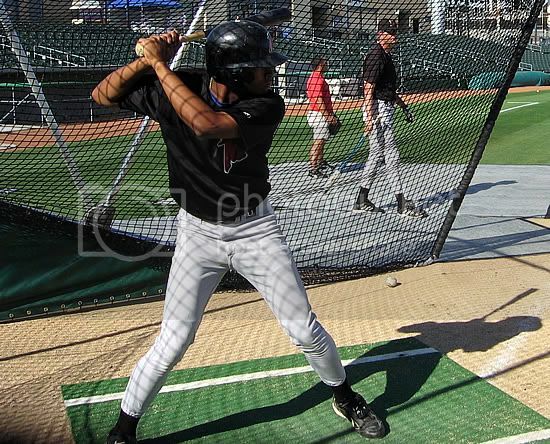 I did find some photos online of Gary Perez, but the photographer has yet to get back to me with permission to use them. Agreed with everyone that the best Royals coverage just got even better. Speaking of Uncle Rico, can anyone tell me why he's wearing this hat in his publicity photo? I can't figure it out. He's around the same age as George Brett, and both were born in towns called Glendale, but #5 was born in Glendale, WV (moving to California later). Anyone? Uncle Rico is a Chuckars fan and therefor e a royals fan. Remember when I said I had some other excellent ideas for Royals Corner? Adding Kevin Agee to the site was one of them. Good work. Awesome job. These some seem like great additions.